These days, nearly every wedding photographer offers engagement photos. These ubiquitous pre-wedding couple’s portraits are great for so many reasons: they provide imagery for your save-the-dates and wedding website, give your a trial run with your photographer, and help you remember what it felt like right after you got engaged. Despite all these benefits, one question strikes panic into the hearts of engaged couples everywhere: What the heck should we wear? Good news: the fact that you’re planning ahead (even if it’s just the night before) means you’re going to be okay. In fact, you probably don’t even need to go shopping if you don’t want to. Here are a few tips to help you nail your engagement session styling. You and your partner have unique personalities that complement each other. Dress in a way that showcases that fact by avoiding clichéd matching tops and jeans. Instead, have one partner choose a solid-colored shirt, and the other choose a patterned shirt, dress, skirt or pants that features that same color. For example, one person might wear a blue shirt, and other might wear a gray shirt with a blue-and-green floral pattern. If you simply must have solids, go for different ends of a monochrome palette—one light, and one dark. If things look too matchy-matchy, simply add an accessory like a patterned scarf, a vest, or statement jewelry. Weddings. Are. Expensive. Why add another purchase if you don’t have to? Your closet probably has everything you need to show off your personality and coordinate with your other half. Wear some of your favorite things to express yourself, and then if you need to, fill in with some new accessories. Having one partner wear a solid color is an easy way to make sure that nothing clashes. However, if you just can’t stop fighting over who gets to wear the paisley, venture into some pattern mixing! Make sure the color palettes are similar for consistency—they should share at least one or two hues. And if things get a little too loud, throw a jacket on to tone it down. You know that crazy thing you have saved in your wishlist on Asos or Modcloth or whatever clothing site you’re currently drooling over? But you just can’t bring yourself to buy it because you have no idea when you’ll wear it? The time is now. The occasion is here. Wear something wild and fun—faux fur, lucite heels, cheeky patterns and bright colors are not necessarily something to shy away from. Just let your photographer know in advance so she can choose a location that suits your attire! If you need a haircut, get one a week in advance so you can get used to styling your new ‘do. Consider professional hairstyling and makeup. Everyday grooming can be too understated for photographs. Plus, you’ll look amazing… schedule a date night with your sweetheart to follow your photoshoot! If you or your partner (or both) wear engagement rings, make sure they’re cleaned and polished. Hire a professional or clean them yourselves at home. Avoid clothing with writing or logos prominently featured, as these things will distract from your beautiful romance! Be picky about the details. Clip and clean your fingernails, moisturize your skin, and do all the little things that make you feel like you really glow. Need more guidance on your engagement photos? 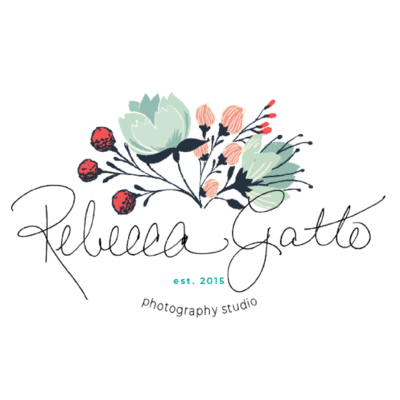 Drop me a line at rebecca@rebeccagatto.com or follow my engagement shoot styling board on Pinterest here. P.S. You can click the images in this post to visit my Polyvore account and shop for the pieces in this post. I don’t make any money from this—it’s just here to help you! « First Look Photos: Are they for you?